It’s time to take a serious look at the people behind the alt-right movement – those who proclaim themselves the master race. Andrew Anglin, founder of the Daily Stormer, the largest alt-right website, has gone into hiding, chased by a harassment lawsuit. And Richard Spencer, the alt-right’s most public figure, canceled a college speaking tour and was abandoned by his attorney last month. Richard Spencer, who was once a leading figurehead of the racist alt-right movement, is begging his followers for $25,000 to help him fight off a federal lawsuit in which 11 plaintiffs are seeking damages for emotional and physical trauma received during last year’s violent Unite the Right rally in Charlottesville, Virginia. Indeed, Spencer published a video on YouTube begging his supporters for money to hire an attorney. Calling the lawsuit “warfare by legal means,” Spencer explained. “This is a mockery of justice,” he added, arguing that the case was “a conspiracy theory in the truest sense of the term,” intended to intimidate white nationalists and “take down the alt-right’s most prominent spokesman,” “that is me” he proclaimed. Politico reported last week that Yiannopoulos, a former senior editor for Breitbart News is being confronted by his own shortcomings. Running out of money and down on his luck, right-wing provocateur Milo Yiannopoulos laid off the small staff of Milo Entertainment Inc. earlier this month, according to three people familiar with the situation. Yiannopoulos’ company has fallen on hard times ever since his former patrons, Robert and Rebekah Mercer, severed their financial backing last year. Politico went on to detail the specifics of his financial woes – but, in the final analysis, it seems that for now, his operation is in disarray and serious decline. 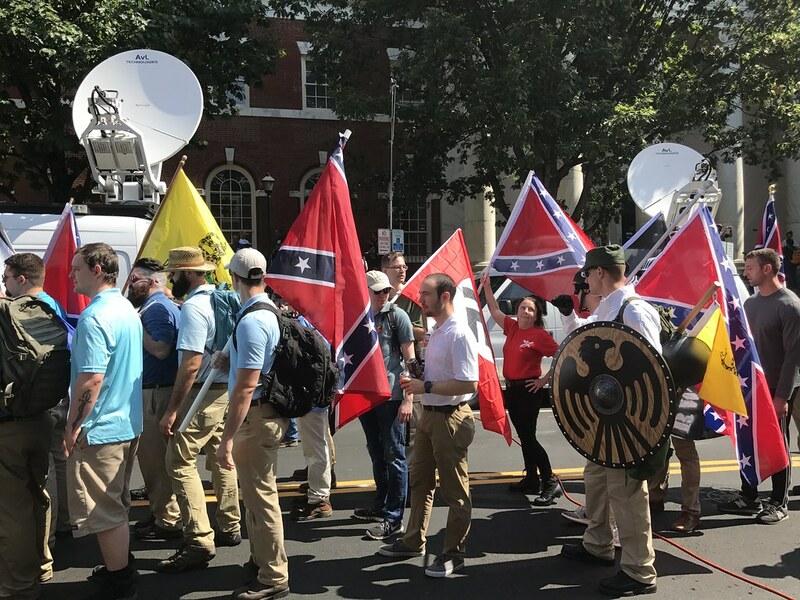 The Washington Post reported in April 2018 about a bizarre incident accompanying the collapse of one of the alt-right’s most organized groups, the Traditionalist Worker Party, which collapsed in March 2018. But according to a police report obtained by the Southern Poverty Law Center, Heimbach began sleeping with Parrott’s wife. In early March, the two told Parrott and Heimbach’s wife that the three-month affair was over, but Parrott didn’t believe it, so he concocted a plan to catch them. Heimbach and Parrott’s wife fell for it while Parrott was outside, standing atop a box, looking in through a window. Then the box broke, and, his cover presumably blown, Parrott went to confront Heimbach, who allegedly choked him. Parrott lost consciousness, then fled to a Walmart, where he called police, who reported that Heimbach later violently grabbed his wife’s face. During the set up at Parrott’s Paoli trailer home, Matthew Parrott and his step-daughter waited outside, standing on a box and watching through a window, police said. After police arrived, the responding officer overheard a verbal confrontation between Heimbach and his wife, followed by a “scuffle,” the report states. Heimbach’s wife said her husband kicked a wall, grabbed her face “and threw me with the hand on my face onto the bed.” Police said the step-daughter recorded the attack on her cellphone.